Allan Buchman is the founder and artistic director of The Culture Project, a non-profit, SoHo-based theater house known for producing political dramas. Prior to this he was a concert piano technician, spending 12 years tending to the pianos at the Manhattan School of Music before starting up his own piano restoration firm. During a downturn in business in the early '90s, Buchman rented out part of his restoration space to the Riverside Shakespeare Company, and was inspired to get involved in theater himself. 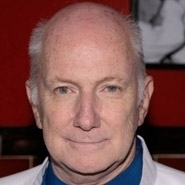 In 1996, he incorporated The Culture Project in his factory on West 91st Street; its first project was Women Center Stage, a series of productions dedicated to women's contributions to the arts. In 1999, he moved the venue to a former lumberyard on Bleecker Street, and three years later it had its first bona fide hit in The Exonerated, starring Kristin Davis, Mia Farrow, Kyra Sedgwick and Richard Dreyfuss. The play earned Buchman a Drama Desk award, and sold out more than 600 performances. Since then the Culture Center has kept up its focus on political and socially progressive works: It was the original home of Sarah Jones's Bridge and Tunnel in 2004, and more recently it's hosted a number of plays that are implicit or explicit indictments of the war in Iraq, including Eve Ensler's Treatment, Elliot: A Soldier's Fugue, and New Yorker staffer Lawrence Wright's monologue My Trip to Al-Qaeda. In 2007, Bushman transplanted the Culture Project to 55 Mercer Street.